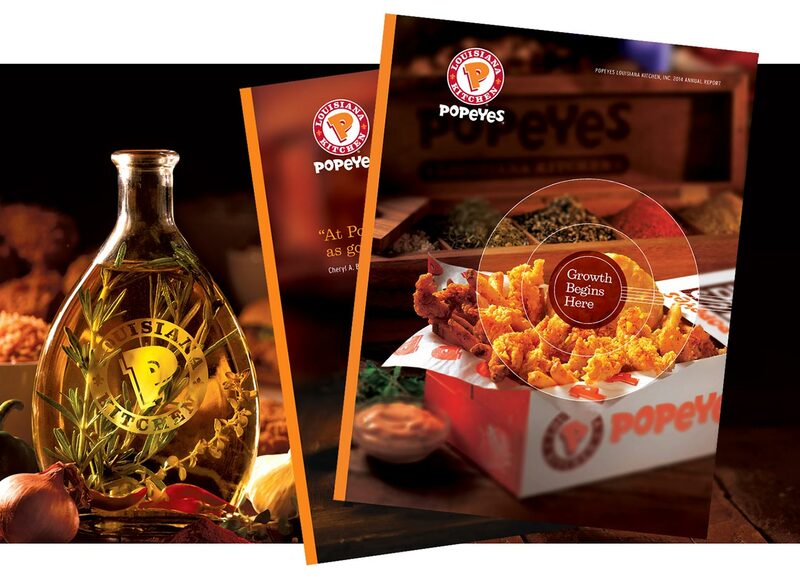 Creating a recipe for success, Popeyes and Mentus are crafting a unique investor brand just as powerful as their consumer brand. 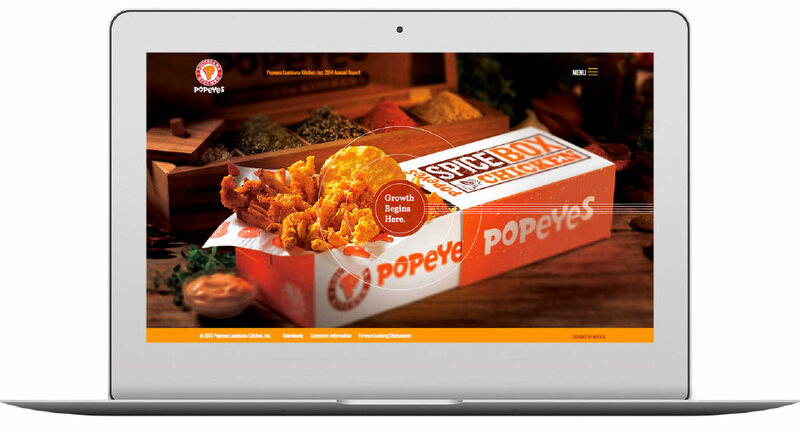 Wanting to bring Popeyes unique flavor to the investor community, Mentus incorporated interactivity and video to their online report. 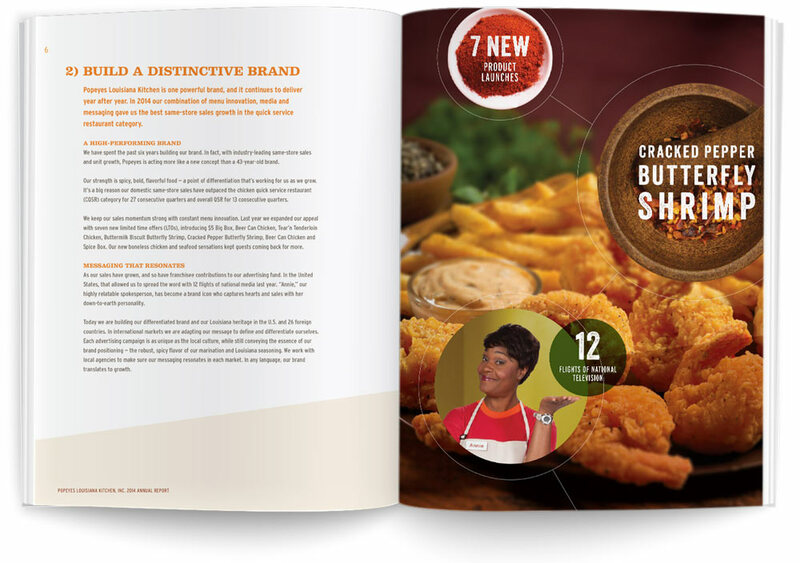 We needed to capture the exciting growth and outstanding performance of Popeyes Louisiana Kitchen, a strategic effort led by their CEO and a sophisticated re-branding initiative. The company is one of the most appealing growth stories in the industry. As a result Mentus managed to capture the voice and the strategic direction of the company. Mentus told their story through the use of their strategic drivers. By relying on franchisees, directors and employees we were able to humanize their effort. We showcased information graphics to convey their performance. Mentus is a creative agency serving clients nationally and across all industries. From print to web, we build memorable branding, marketing and investor communications for our clients that successfully establish them in their markets and on Wall Street. Copyright © 2019 Mentus. All rights reserved.